February 19, 2019 December 11, 2018 by Dr. Lisa Oskardmay DC, LAc. Shoveling snow can result in back injuries or worse. We all need to get out of the house eventually following a huge snowfall like the one we just experienced here in Durham, NC. Keep a few things in mind, however, prior to going outside to shovel that snow. Back injuries and heart attacks due to snow shoveling are all too common and can be avoided. 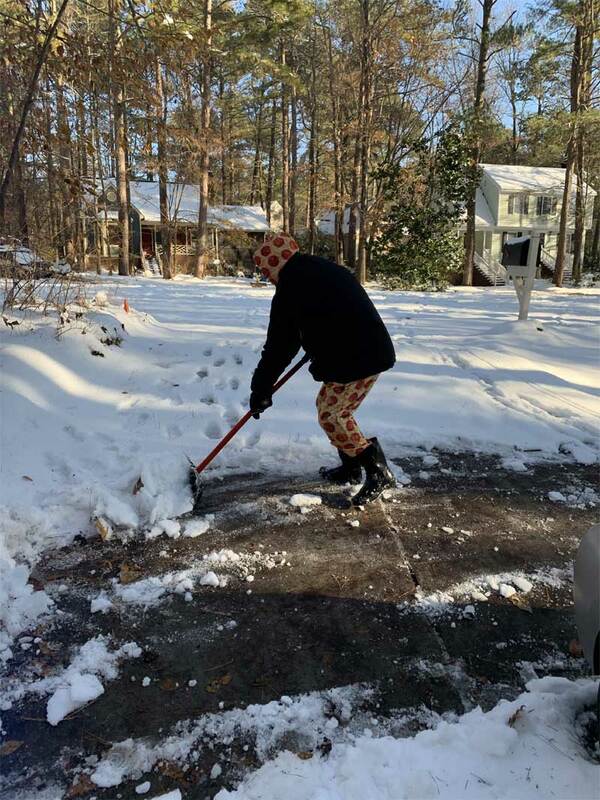 When shoveling snow, take a moment to assess the situation and realize the job may take more time than you think. Don’t rush the process—hurrying will add to the possibility of falling as well as increase the stress of the situation. Get your warm high traction boots on, suit up, grab your shovel, and head outside once you’ve taken a few moments to consider how to best approach the task. Wet snow is going to be very heavy. When you dig your shovel down into the snow, assess how heavy each shovel full is before trying to lift it, especially if you plan to twist around and pile that shovel full to the side.Twisting with the added weight of snow can injure your back quickly; doing that repetitively can cause spinal joint irritation or even a herniated disc. You may not feel the effects of injury immediately due to the numbing effects of cold so be sure to take breaks periodically. Be aware of the amount of cardiac exercise involved in moving snow, as well. Crouching, digging, lifting and twisting heavy loads repeatedly in the cold puts a lot of strain on your heart, especially if you are stressed in a hurry. Stay safe out there!